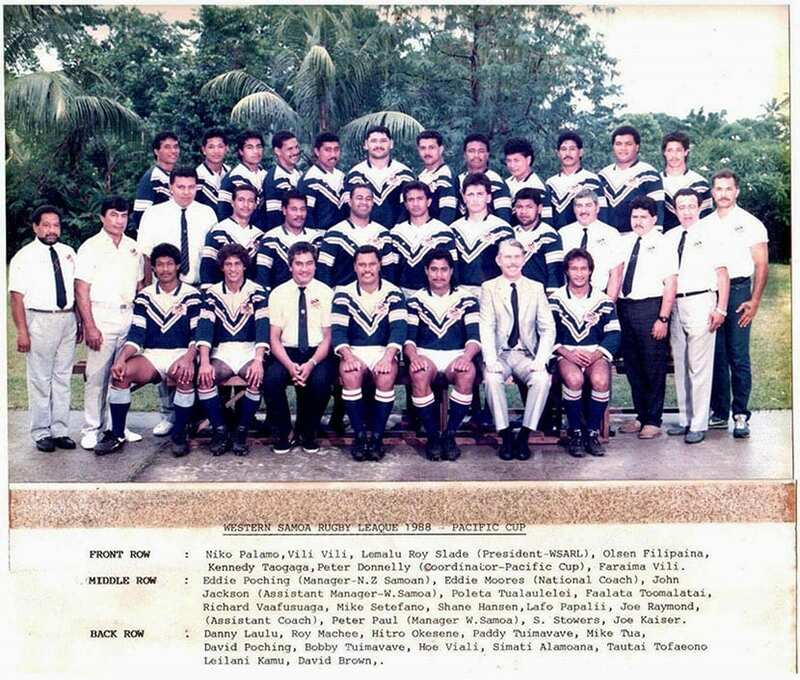 Western Samoa first took to the field in a Rugby League match back in 1986 when they joined the likes of Tonga, Niue and the Cook Islands in the New South Wales Rugby League coordinated Rugby League Pacific Cup. The event, which was the third of its kind, took a conscious effort to invite interested locals and players of Pacific Island heritage into the multi-national tournament. Held in Rarotonga in the Cook Islands, the Western Samoan side was grouped with Tokelau and Tonga. The Samoans would beat Tokelau in their opening game 34-12, before going down to Tonga 34-16. Despite the loss against Tonga, Western Samoa qualified for the Semi Finals defeating the Cook Islands 48-0, before facing Tonga in the tournament Preliminary Final. Shocked by their initial loss, the Samoans recorded a convincing 46-4 win over the Tongans before going down to the New Zealand Maori 23-6 in the tournament final. Despite the strong performance at the Pacific Cup, Rugby League didn’t quite catch on back in Samoa the same way it did for the other participants in the 1986 Pacific Cup. 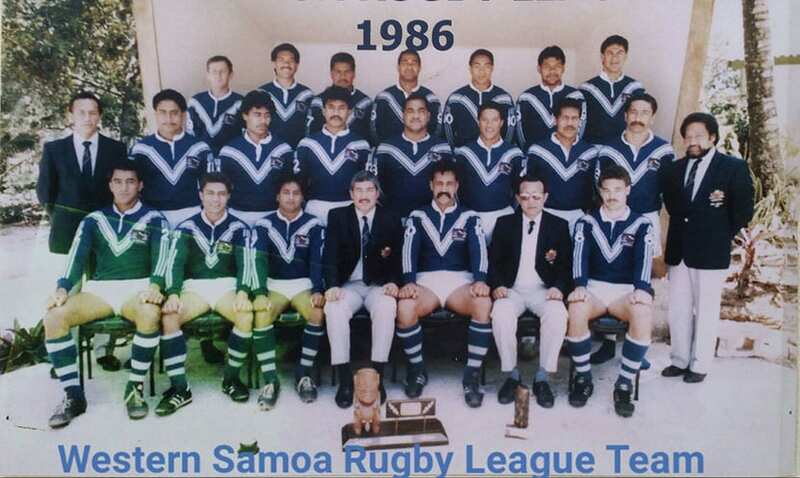 The performance of Western Samoa had a positive impact on the Samoan community in New Zealand, stimulating efforts to ensure the next 1988 Pacific Cup was held in Apia. With high expectations, the Western Samoan side started the 1988 Pacific Cup strongly, recording wins over the Cook Islands and Tokelau in the group stages of the tournament, before facing Tonga in the tournament Semi Final. Despite Tonga putting up a stronger performance than in 1986, Western Samoa qualified for their second Pacific Cup Final, again taking on the New Zealand Maori. In front of a large and vocal home crowd, the Samoans put up a strong performance, however fell short to a New Zealand Maori side which included the likes of Morvin Edwards, Barry Harvey, Kelly Shelford, Mark Woods and Tawera Nikau. After two Pacific Cup Final losses, Western Samoa finally collected their first piece of international silverware in the 1990 Pacific Cup tournament in Tonga, recording their first ever victory over the New Zealand Maori in the final (26-18) and running through the tournament undefeated to secure the trophy. Western Samoa would successfully defend their Pacific Cup title, defeating Tonga 18-14 in extra time in the 1992 edition of the Pacific Cup. By the time the 1994 Pacific Cup rolled around, Samoa were expected to dominate the competition. Grouped with Fiji, Rotuma, Cook Islands and American Samoa in the pool stages, Samoa went on to record victories in each of the preliminary games, before Tonga recorded an upset 34-16 victory over the Toa Samoa outfit in the Semi Finals. Samoa would go on to defeated the Australian Indigenous team in the third place play off 29-22, however it would be the first time the Toa Samoa outfit would not feature in a Pacific Cup Final. Despite missing the Pacific Cup Final, Samoa were invited to take part in their first ever Rugby League World Cup in 1995. The Samoans were grouped with traditional Rugby League nations, Wales and France in Group C of the tournament, and would kick start their World Cup campaign with a convincing 56-10 win over the Les Chanticleers in Cardiff. After a convincing opening win, Samoa went into their must win game against Wales in Swansea, however the Dragons, in front of a capacity home crowd were too good in the end running out 22-10 winners, ending Samoa’s World Cup campaign. Rugby Union turning professional at the end of 1995 would go on to hurt Samoa’s international Rugby League ambitions, with players like Apollo Perelini and Fereti Tuilagi leaving League and returning to Union. The loss of such quality players hurt Samoa’s prospects in the 1996 Pacific Challenge, with the nation going through the event without a win. Samoa did not take part in the 1997 Oceania Cup due to a dispute with Super League aligned authorities and would play limited matches until the 2000 Rugby League World Cup. The 2000 Rugby League World Cup saw Samoa join Scotland, Ireland and the New Zealand Maori in Group D of the tournament. Opening their campaign in Belfast, the Samoans would go down 30-16 to Ireland in the opening day of the tournament, before recording tight victories over Scotland and the Maori to qualify for their first ever World Cup Finals. Unfortunately for the Samoans, despite making the final, they would go on to draw eventual champions, Australian the quarter final at Watford, going down 66-10 in a match the Kangaroos dominated. The result would be Samoa’s biggest loss to date in international Rugby League. International opportunities for Toa Samoa were relatively light for the next few years until the 2006 Pacific Cup in Auckland. Samoa would finish sixth, but used the event to blood a number of new potential players for the national side, who would go onto play in the 2008 World Cup Qualifiers. Samoa’s World Cup Qualifier campaign would start strongly, with the nation recording victories over Fiji and the Cook Islands, however a loss to Tonga in Leeds would for the Toa Samoa outfit to have to go through the repechage rounds to make the tournament. As such, Samoa would have to wait a whole year to know their World Cup fate, taking on the USA Tomahawks and Lebanon Cedars in the repechage rounds to secure their spot at World Cup 2008. With a number of big name players, Samoa were expected to dominate their Pool at the 2008 World Cup in Sydney, however despite defeating Tonga 20-12 in their opening game, would suffer a 34-16 defeat to the Irish to finish bottom of their pool. Samoa’s poor result would mean that they would be forced to qualify for the 2009 Pacific Cup in Papua New Guinea, however the Cook Islands would prove too strong for the Samoans, winning 22-20 to force the Island nation to have to sit out another tournament. Samoa would play a series of one off tests in 2010, including their first against the Kiwis and another battle against Tonga as their only games between 2009 and the World Cup year, 2013. 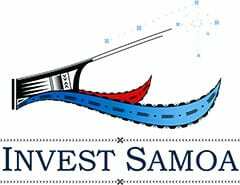 Samoa’s fourth World Cup, 2013, would arguably be the nation’s strongest, and would kick start a golden period for the Toa Samoan team. After a creditable performance against the Kiwis in Warrington, going down 42-24, the Samoan would go on to post big victories against France and Papua New Guinea to qualify for their second World Cup Finals. Playing the Fiji Bati in Warrington, Samoa would go down 22-4 with the Fijians going on to play Australia in the Semi Finals, however the result would see Samoa given the opportunity to qualify for the 2014 Four Nations tournament. Samoa would defeat Fiji 32-16 in the qualifier, before only just falling short against England and New Zealand in the Four Nations tournament held later that year. Samoa would go on to win their next two Polynesian Cup clashes against Tonga, and will go into World Cup 2017 as a real threat. Absent: Paddy Tuimavave, Anitelea Aiolupotea [Samoa], Too Vaega [Samoa], Filitonga Lameta [Samoa], Lomitusi Sasi [Samoa]. Regular domestic Rugby League has been held in Samoa since the 1988 Pacific Cup, with local competitions held primarily around the national capital of Apia. Despite almost 30 years of Rugby League in the country, the majority of the participation were focused around the open age years groups. In that time, considerable efforts have been put into introducing Rugby League at junior and school levels throughout the country. In the 2016 National competition six teams took place, including the Vaitele Wests Tigers, Matniuel Laulii Lions, Letava Bulldogs, PSL Scopa, Marist Saints and Apia Barracudas. The Marist Saints would defeat the Apia Barracudas 32-28 in the Rugby League Samoa Grand Final to win the Presidents Cup. Literally translated, Toa means a brave warrior. So, Toa Samoa is a brave Samoan warrior. But the inspiration and meaning runs deeper. When the name was adopted for the national rugby league team, TOA represents Tautua (Service), Ola (Life) and Alofa (Love). Toa Samoa, the Team Name, takes reference and inspiration from the legend of Nafanua the war goddess. One of her feats was to liberate those who suffered under the oppressive rule in ancient Samoa. She heard the cry of these people Le mapu a Tai’i. Nafanua was sent to fight the battle in which she completely routed the enemies, liberated the oppressed and raised the people to a position of honour and equality. The clubs Nafanua used in battle were all made from the TOA tree. The log from the tree was anchored and treated in the sea for a while before the four war clubs were carved. During this treatment process, sea shells known as Pule began to grow on the Toa log hence the proverbial saying: E gase Toa ae ola Pule – Toa maybe idle but Pule is alive. This has been interpreted to mean – Without the Toa, there wouldn’t be Pule (Power and Authority). The TOA was then used to carve four war clubs Nafanua used in battle. Toa Samoa then as adopted by the team name, is about Living to Serve with Love. That’s the inspiration that drives the Toa Samoa Rugby League team in all its endeavors – To serve Samoa with Love.